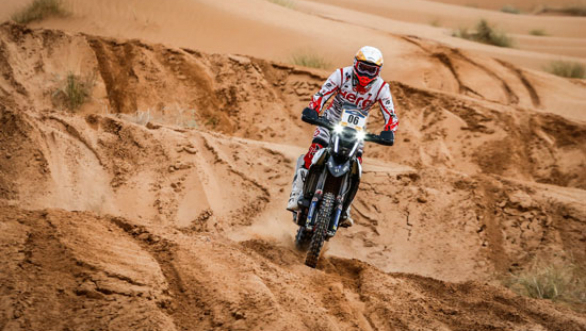 The 2019 Afriquia Merzouga Rally took off in full swing on Monday, April 1 with the first of five stages being held. 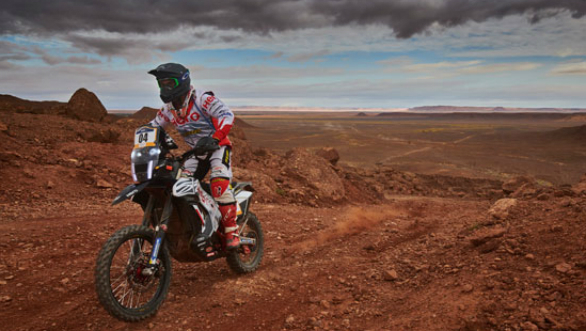 Riders at the event covered the 208 km special stage in two parts, of 86 km and 115 km. This was preceded by an 8 km liaison. Participants had to deal with tricky navigation and tough terrain which was a mix of fast piste and stony off piste. The early part of the stage tested the riders on their navigation where they had to put their skills to use in crossing small dunes and find an entry into the Erg Chebbi region. The second selective sector was more rigorous with its mix of dunes and rougher terrain, testing navigation further. The two Hero Motosports Team rally riders competing, Joaquim Rodrigues and Oriol Mena, put a largely good show, except for a few navigation erros with ate into their time. Rodrigues ended the stage at a solid fourthy while Mena finished in seventh. Adrian Van Beveren of Yamaha Racing won while Sherco TVS' Michael Metge finished third. Oriol Mena said of the day's proceedings, "The first stage of the rally was good for me. I felt good and the bike also did well. The navigation today was difficult and I made a couple of errors, but the rally is just starting, so I am happy to get the bike home."